Mouvex, part of PSG, a Dover company and a leading manufacturer of positive displacement pumps, is pleased to announce the addition of the new A6 model of its A Series Eccentric Disc Pumps. These pumps have been designed to replace existing Mouvex AF O pumps and are well suited for industrial applications involving both thin and viscous liquids. The Mouvex A6 pump features ductile iron construction and the ability to handle differential pressures up to 10 bar (145 psi), enabling it to be used in the safe transfer of viscous, non-lubricating, volatile or delicate fluids in a variety of applications. 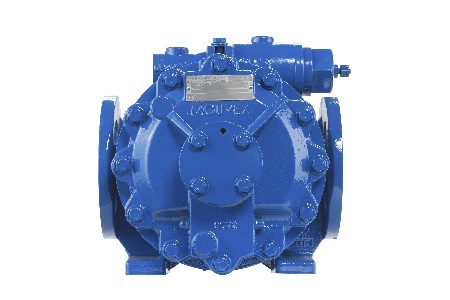 These pumps are offered with a variety of connection types and options, including the availability of both Mouvex or standardized mechanical seals, which helps expedite installations regardless of location. A6 pumps also feature 1 ½” suction and discharge ports and maximum flow rates up to 5.7 m3/h (25 gpm). Known for their reliability, durability and cost effectiveness, Mouvex A Series are positive displacement pumps that utilize eccentric disc technology, which enables self-priming and run-dry capabilities while maintaining a constant flow rate regardless of changes in viscosity and pressure. Mouvex A Series pumps also maintain their initial performance over time and are ATEX-certified for use in potentially dangerous environments with the ability to run-dry for up to six minutes. A Series pumps have maximum speeds to 600 rpm, maximum flow rates to 55 m3/h (242 gpm), as well as suction and discharge ports from 1 ½” through 4” in size. For more information, visit mouvex.com. Mouvex was incorporated in 1906 and is a leading manufacturer of positive displacement pumps, screw compressors and hydraulic coolers. Through a global network of distributors and original equipment manufacturers, Mouvex serves the following markets: refined fuels, oilfield, energy, food /sanitary, military, transport and chemical process. Mouvex — headquartered in Auxerre, France — is part of PSG, a Dover Company.